The age old issue of piracy and hacking seems like an eternal one, with the hackers and modders always finding a way to work around gadgets and consoles to jailbreak and while the manufacturers always try a new way to keep the jailbreakers and hackers away. This time around, Sony may make sure that jailbreaking the PS3 would become tougher, if not impossible with the upcoming PS3 3.55 Firmware Update. 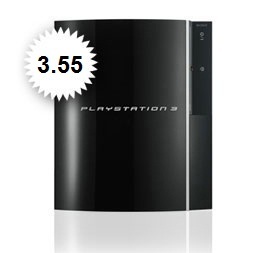 PS3 3.55 Firmware Update has already been mentioned by Sony, but its release date has not been divulged yet. They only reveal that it is going to be a “minor security patch” which we doubt is going to be a major anti-jailbreaking and anti-piracy security measure. Gamers have been ambivalent about how they feel about such issues, as they do love the company that makes gaming so efficient and easy, but also curse the rising costs of gaming and associated purchases. It would be cool to learn how you readers feel, when it comes to anti-jailbreaking measures undertaken by big corporations, and the lonely hacker who makes such measures futile and impossible. If you were given a choice, whose side would you be on, and why?